Seth Rogen is refuting a recent Hollywood Reporter article's claim that Sony producer Amy Pascal was delayed moving into her new office—which was previously occupied by Rogen and his writing partner Evan Goldberg—because the space smelled too much like weed. Sources say Pascal is unable to move into her new suite that Seth Rogen and Evan Goldberg most recently occupied because the stench of marijuana cannot be easily removed. The offices — a plum spot that once housed Pascal's late boss, John Calley — will be repainted in an effort to eradicate the smell. Once Pascal moves from her current offices in the Irving Thalberg Building to make way for incoming motion picture group head Tom Rothman, she will move into temporary offices until the odor is sufficiently eliminated. 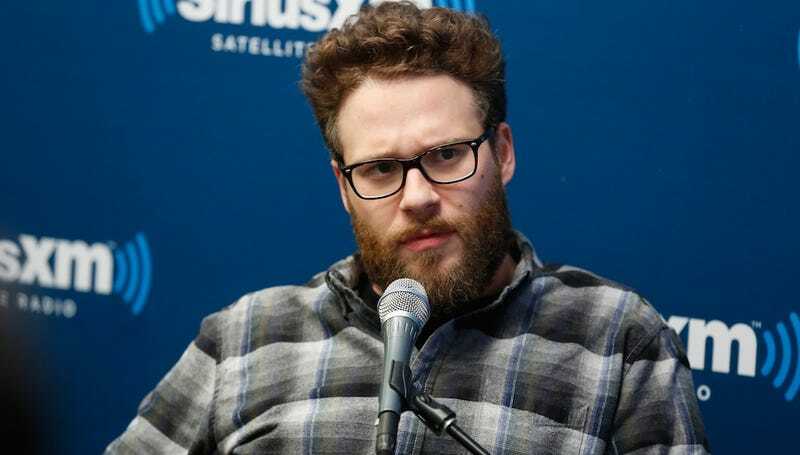 Rogen responded via Instagram, writing, "I don't know what's more irresponsible: that they would print a story that is completely untrue, or that they would refer to how pot smells as a 'stench.' #myshitsmellsgood." According to The Daily Star, Jamie Dornan is getting a pretty hefty pay raise for Fifty Shades of Grey 2: One More Shade of Grey. "Jamie has signed the deal and he's thrilled, the money on offer was just too good," says a source, who claims that Dornan, who was paid $1.2 million for the first movie, will be getting $6.9 million for the sequel.